In this sequel, Clementine is still getting in trouble and having trouble paying attention. Third grade is doing a Talent-palooza and everyone has something to perform except Clementine. 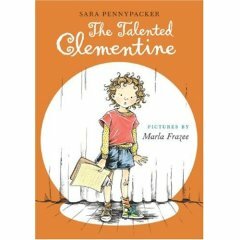 But just as the big show cames, Clementine and her teachers discover her hidden talent (and it isn't getting in trouble). For younger readers, this continues to be a really strong series (in the tradition of Ramona or Judy Moody). It's funny for both younger and older readers, with a gentle and kind world view. For whenever you need a break from the dreariness of YA or adult novels and just want a laugh, Clementine does it for me!